What better way to spend a Friday night, right? Ever since we started talking to Luke about our date (which happened last week), he has been asking when he gets to go on a date too. So when we realized we hadn’t planned dinner for tonight, we decided to make tonight the date night! Luke was so excited when I mentioned going on a date as I was picking him up from day care that he stopped midway through walking outside (his favorite thing), came running back and jumped up and down yelling “Date! Date!” I was a bit worried that he wouldn’t eat very much at dinner after hearing that he ate half a black bean sandwich, blueberries, a bowl of oatmeal and some string cheese as a snack. Especially when he was able to charm our daycare provider into giving him half of another kid’s cheese stick and sandwich as we were walking out the door to go home to pick up the third attendant of Date Night Two. 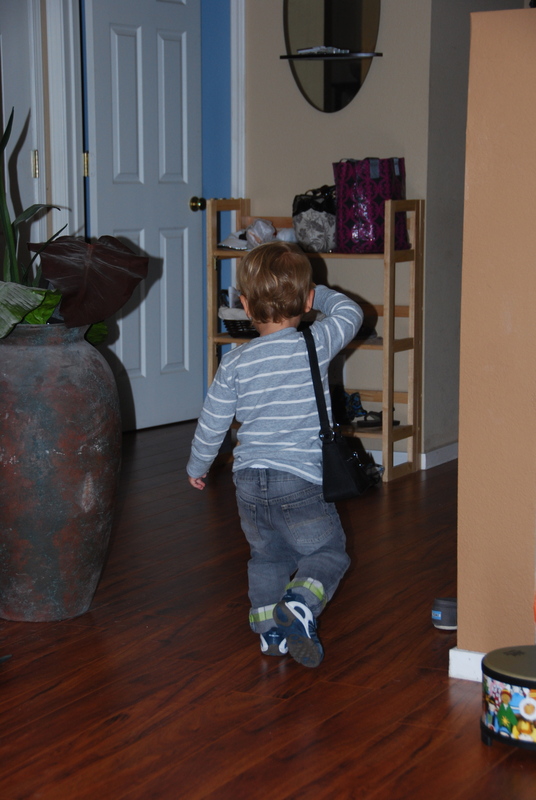 When we asked Luke if he was ready for our date, he jumped up from making food in his kitchen, grabbed his purse (one of my purses), put it over his arm and strutted to the door. We arrived at our local Japanese sushi restaurant (also known as “Tofu, Noodles and Edamame” to Luke) and Luke, being the gentleman he is, opened the door for us! After a dinner of udon noodles, broth (at one point using both hands, two spoons and two bowls), tofu, edamame, and white rice, we climbed back in the car to go home. On the way home we talked about this weekend and our plans to see our wise friends for the Superbowl. When Luke realized that we weren’t seeing his friend Olivia tonight, he started asking about his most recent girlfriend, ‘Chelle. He was so excited about hearing that Michelle took her first yoga class, that that was all he could talk about until we got home. He walked inside still asking about a yoga class, so I searched through OnDemand and lo and behold, found a Jr. Yoga At the Beach 11 minute episode. Instantly, we were barking dogs at the beach, surfers, swimmers and flying seagulls. We ended lying on our backs covered with a blanket, soaking up the imaginary sun. I think the universe is clearly telling us to end every day with some yoga, because bedtime was a breeze (pth pth, salt over the shoulder, knock on wood) so far. This entry was posted in date night, food and tagged balanced meal, date night, noodles, udon noodles, wise friends, yoga. Bookmark the permalink. So cute!!! 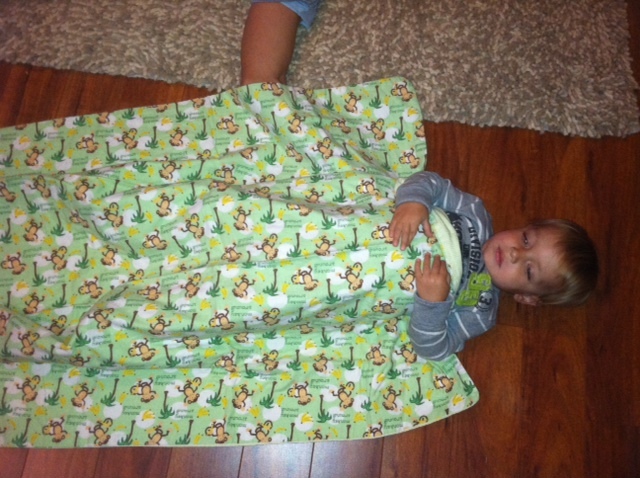 I miss my boyfriend and I’m happy that my yoga was inspiration to get him to bed easily (: Jr. Yoga sounds awesome.